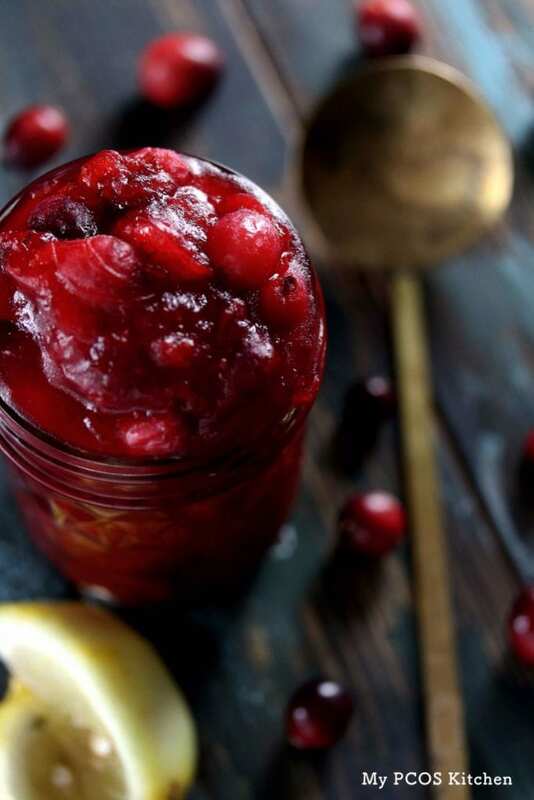 One of my favourite parts of Thanksgiving is actually making this sugar-free low carb cranberry sauce. 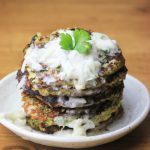 I love that it is so versatile and you can use it with savoury or sweet dishes. You can use any leftover sauce you have to make baked goodies like cheesecakes or cookies, spread it on toast like jam, or serve it with your leftover turkey meat! 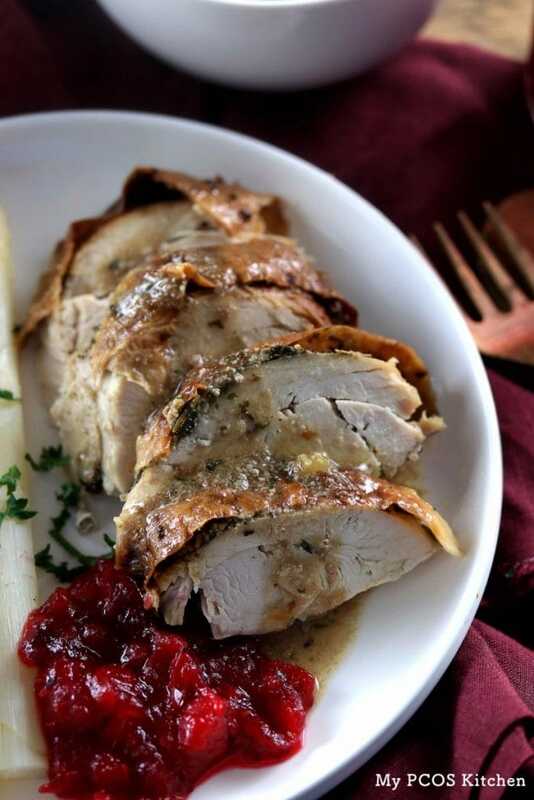 I served my cranberry sauce over my Keto Thanksgiving Turkey last week and it was absolutely delicious! It was also the boyfriends first time eating it and he put it on everything! He also added it to some yogurt the next day, which I’ve actually never done, but is absolutely genius! You can also check out my Paleo Turkey Giblet Gravy which is completely dairy-free, but is thickened with tapioca starch, or my Keto Turkey Giblet Gravy which is thickened with heavy cream and xanthan gum! 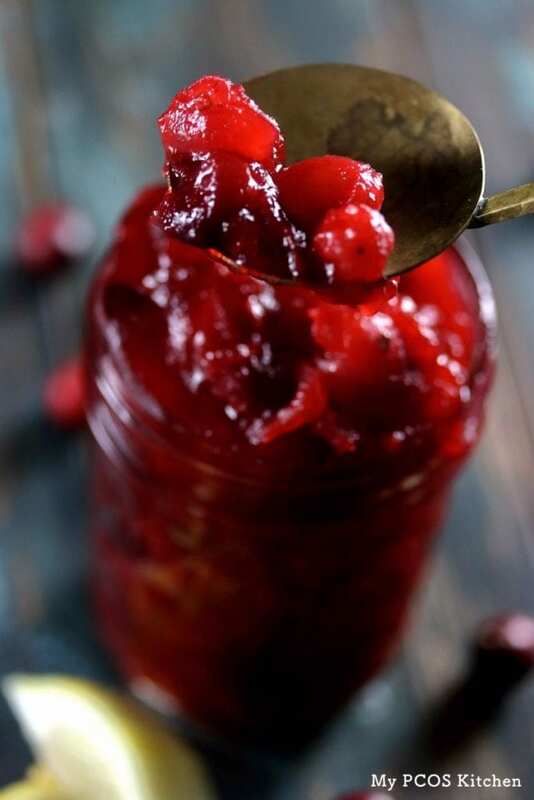 You could add this cranberry sauce over my Keto New York Cheesecake or even add it to the batter and bake it together! It would taste absolutely divine! Actually, I think that’s what I’m going to be making this weekend haha! 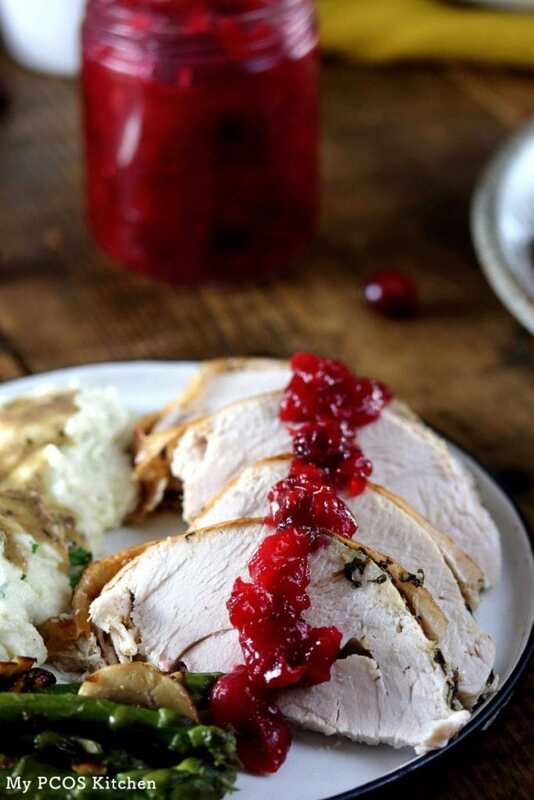 I used stevia powder and homemade powdered erythritol to sweeten this low carb cranberry sauce. I prefer using homemade powdered erythritol as opposed to store-bought one because it has more of a powdered consistency and melts better. I usually just add erythritol to my all-time favourite blender that I got this last Prime Day on Amazon, Blendtec and blend it for like a minute or something and you get this real fine powder. 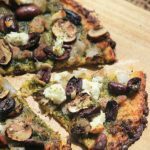 I also prefer to sweeten it with stevia too, actually this is for all my sweetened goods, because a mix of stevia and erythritol gives this sauce the best sweetness! Be on the lookout for more Thanksgiving recipes in the coming week!! Add all of the ingredients except the lemon in a stock pot. Put on medium heat and start stirring with a silicone spatula. Continue to stir until the cranberries are starting to get crushed and it's becoming thicker like a jam consistency. Turn the heat off and zest the lemon into the sauce. 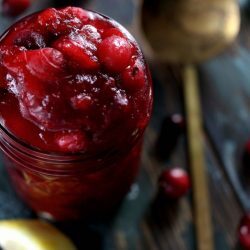 I zest all of mine because I love my cranberry sauce to have a very lemony flavour, but you can zest a quarter or half and taste test until you have your perfect flavour! 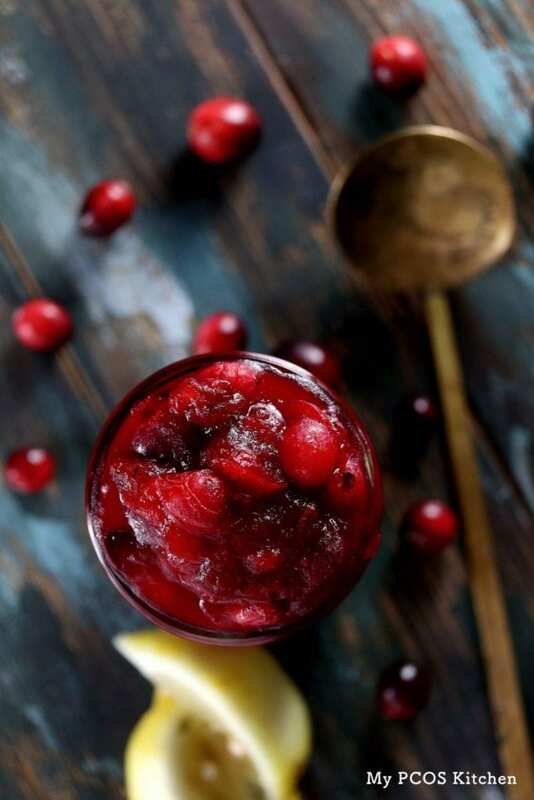 I much prefer making this cranberry sauce with homemade powdered erythritol. I just add regular erythritol to my Blendtec and make a powder with it. 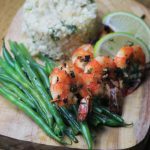 It makes the sauce less grainy and melts better! Question…. If I’m going to powder the sugar sub in the grinder ….. Would I measure it first then grind… Or do a 1/2 c measure after its ground? TIA! I measured the powder after it’s grounded! I usually just make big batches so I grind like 2-3 cups of granulated erythritol and then use the powder for other recipes.